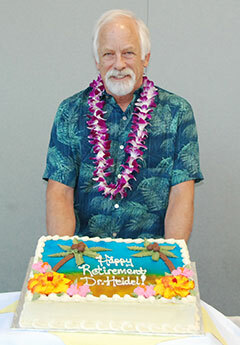 Last week, Dr. Jerry Heidel retired after 27 years at the Oregon Veterinary Diagnostic Laboratory. Heidel began working at the OVDL as a pathologist in 1988. Ten years later, he was promoted to Interim Director, and then appointed Director in 2000. 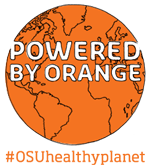 “The achievement I am most proud of,” says Heidel, “is obtaining and maintaining full accreditation by the AAVLD.” The American Association of Veterinary Laboratory Diagnosticians accredits labs that meet strict technical and operational standards. Heidel also steered the VDL into a membership in the National Animal Health Laboratory Network, which coordinates veterinary laboratories with state and federal agencies to provide quick response to large-scale animal disease outbreaks. Heidel is looking forward to spending more time with his family, but also to staying in touch with the college by working one week a month doing biopsies for the VDL.